Daniher has not played since round seven last year, first due to osteitis pubis and more recently with a calf injury. Coach John Worsfold has indicated the All-Australian may be asked to return to action via the VFL, but Heppell would be happy to see him involved against the Kangaroos at Marvel Stadium. He took a big 'hanger' at training the other day and he's moving really well. The Bombers would be boosted by the availability of the key forward, who was their leading goalkicker in four consecutive seasons from 2014. They managed only 40 and 65 points respectively in the opening two rounds in losses to Greater Western Sydney and St Kilda. The last two weeks have seen an improvement, with victories over Melbourne and last weekend against previously-unbeaten Brisbane. Speaking of Daniher, Heppell said: "It would be awesome to have him back soon. He took a big 'hanger' at training the other day and he's moving really well. "I'd love to see him in there, but match committee will decide that best. Joe himself, he's pretty honest on where he's at, so he'll have a bit to say in that as well." Daniher has kicked 181 goals in 100 games overall for Essendon. He only booted two majors in as many games last season before being ruled out for the rest of the campaign. 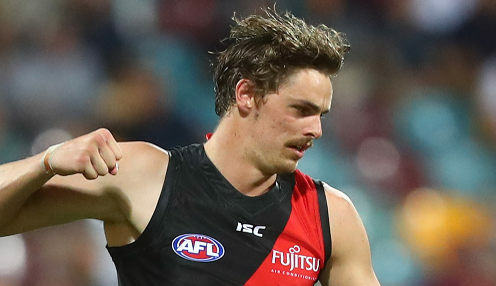 Worsfold's team were helped to their 57-point win over Brisbane at the weekend by a career-best seven goals from livewire forward Anthony McDonald-Tipungwuti. "He's probably the most naturally gifted footballer I've seen," said Heppell. "Really, with 'Walla', you just need to let him play with freedom." Essendon are 19.00 to win the Grand Final. The Bombers are 1.72 to win their next game against North Melbourne, who are 2.18.